Thomas is a Member of the Group Executive Committee and Group Director Corporate & External Affairs of TUI Group. He is responsible for Public Policy, International Relations, Group Communications, Regulatory and Government Affairs, Environment and Sustainability as well as Foundations. Thomas joined TUI in July 2013. He is also Chairman of the Board of Trustees of the TUI Foundation and Chairman of the Board of Trustees of the TUI Care Foundation. 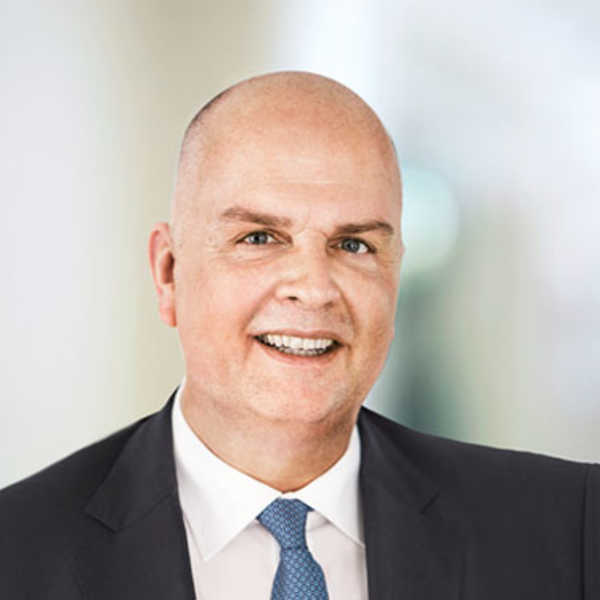 Before joining TUI AG, Thomas Ellerbeck was a member of the management of Vodafone Deutschland from 2006 to 2013; his last function was managing director of Vodafone GmbH. His responsibilities included Group Communications, Corporate Responsibility and Policy and, since 2010, Regulation Strategy and Anti-Trust Laws as well as Commercial Regulation. As Chairman of the Advisory Council of the Vodafone Foundation, he has been responsible for the strategic realignment of the Vodafone Foundation and has developed it into a recognised think tank. After joining TUI AG, Thomas remained Chairman of the Advisory Council until September 2014. Since then he has been an ordinary member of the Advisory Council of the Vodafone Foundation. Before joining Vodafone, he was Director/Head of Media Relations and Deputy Head of Group Communications at Deutsche Lufthansa AG from January 2001 until September 2006. He was responsible for Corporate and Product-Related Media Relations in Germany and abroad, Issues Management and Political Communications of the aviation group. Prior to switching to a career in industry, he spent almost ten years working for various regional and national government policy units. From 1995 until the end of 2000 he was one of the closest advisors to the President of the Federal Republic of Germany, initially as Deputy Spokesman of Federal President Professor Dr Roman Herzog, subsequently as Head of the President’s Office. From 1991 to 1995, during the phase following German unification, he headed the press office of the Mecklenburg-Western Pomerania State Chancellery under state premiers Professor Dr Alfred Gomolka and Dr Berndt Seite. From 1992 until the end of 1994, he was also Deputy Government Spokesman in state premier Seite’s cabinet. Thomas Ellerbeck serves voluntary at the interface of the economic, political and media arenas. His activities have included work as a member of the Council for the Lindau Nobel Laureate Meetings on Lake Constance since 2000. He is also a Co-Founder and has been a member of the Board of Directors of the Lindau Nobel Laureate Meetings Foundation since 2001. He is involved in international economic and political dialogue as a member of the Advisory Council of the Near and Middle East Association (NuMOV) and supports Trans-Atlantic cooperation as a member of Atlantik-Brücke.